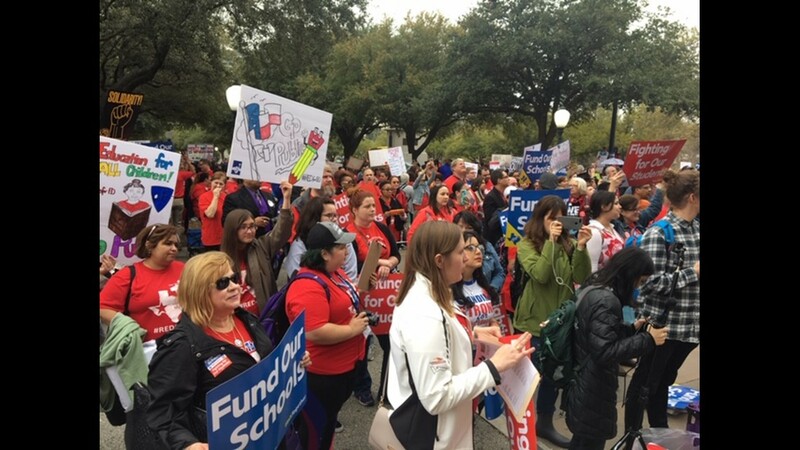 Teachers met with lawmakers on Monday and held a rally on the south steps of the Texas State Capitol as they asked for more funding at public schools. 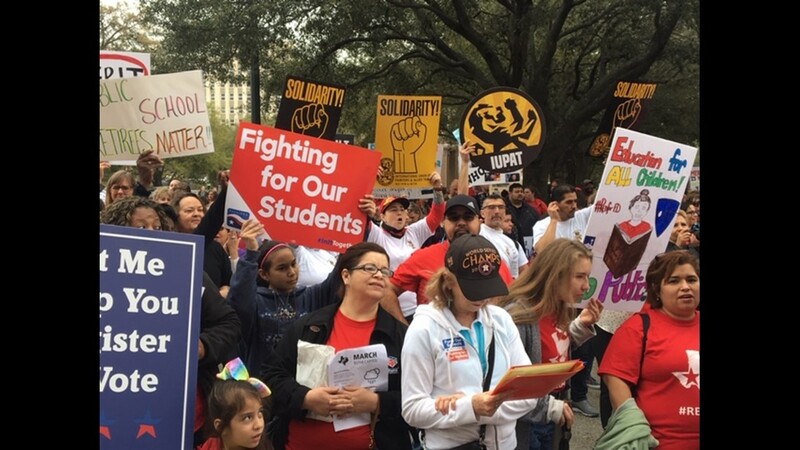 AUSTIN, Texas — On Monday, hundreds of teachers and school employees rallied at the Texas State Capitol, calling on lawmakers for more funding for public school students, teachers and retired teachers. 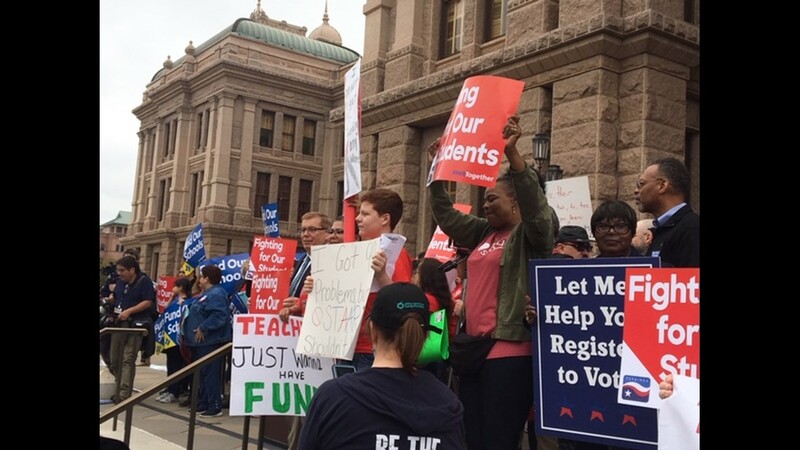 The rally was held ahead of a public hearing on the Texas House's $9 billion school finance plan scheduled for Tuesday morning. House Bill 3 was filed last week, which aims to put more money into public education. HB3 invests a total of $9 billion in public education, $2.7 billion to compress school taxes and an across the board four-cent cut to school taxes and $6.3 billion for classrooms. 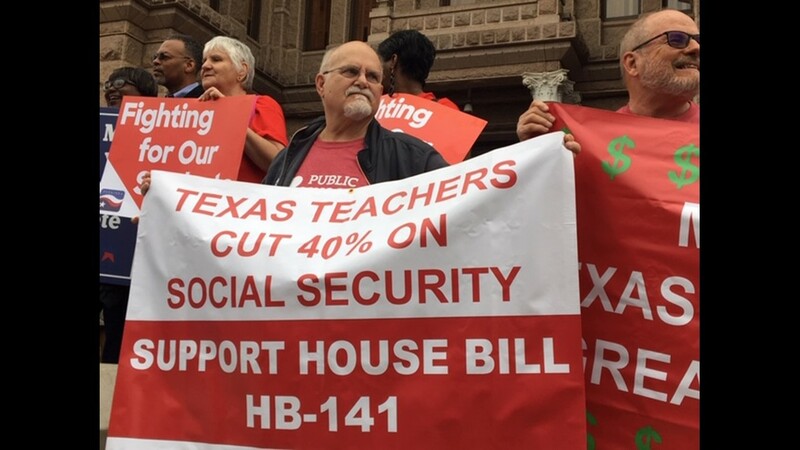 Members of the Texas American Federation of Teachers and the Texas State Teachers Association said the state should put in more money per student, do more to help retired teachers and pay teachers and all support staff more, especially teacher aides. 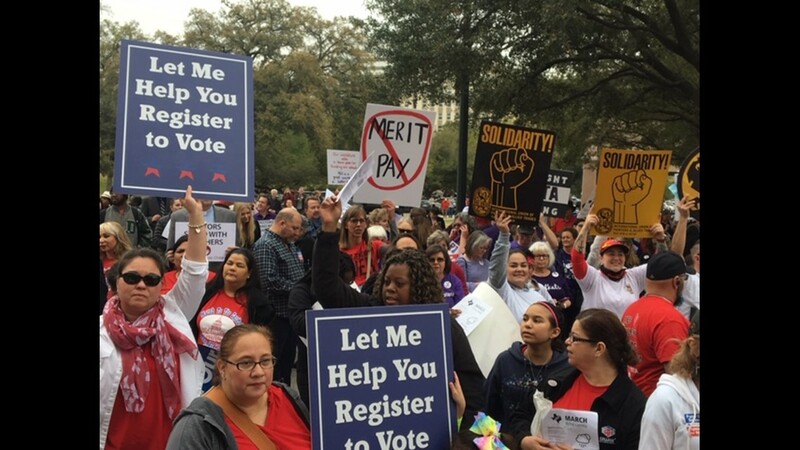 Texas teachers rally for more funding at State Capitol. Educators said Texas teachers make $7,000 less per year than the national average. When it comes to what each state spends to educate a child, the groups said Texas spends $2,300 less per child than the national average. "There are 15 states still spending less on kids than they were in 2008. And you know what one of those states was? Texas. 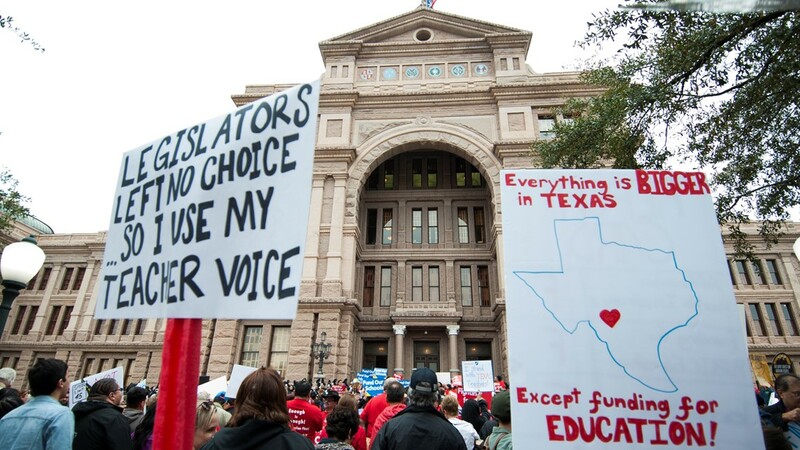 Shame on Texas," said Louis Malfaro, president of the Texas American Federation of Teachers, at Monday's rally. 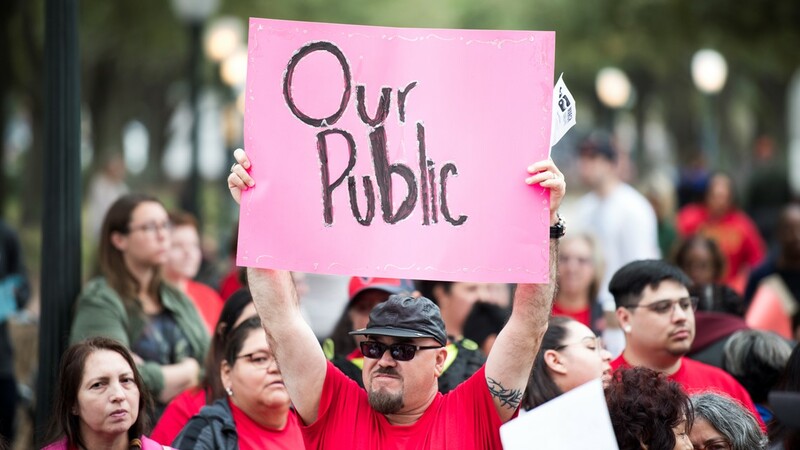 "There is another side to the life of a teacher, yes, we love being with and inspiring our kids, but we have spent more than a decade confronted with the harsh realities of paying our bills while also trying to meet an ever-increasing workload," said Traci Dunlap, a kindergarten teacher at Maplewood Elementary School, and leader within Education Austin. Tuesday's public hearing is scheduled for 10:30 a.m.